In the fifth of episode of Untangled we are exploring how to combine hardware sensors with the Tangle. We are talking to Daniel De Michele, founder of XDK2MAM, about their grant winning project and the future need for more code writers. We are also talking to IOTA Ecosystem Director, Lewis Freiberg, on why the IOTA Foundation does not produce hardware, how the Foundation supports those who do and what it takes to get a grant from the IOTA Ecosystem Development Fund. As always, any feedback from our community is much appreciated, so please use your chance to have your opinion heard. 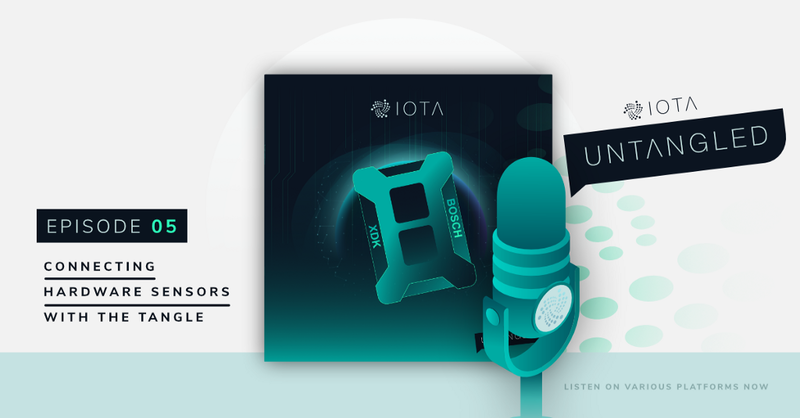 Untangled Episode #5: Connecting Hardware Sensors with the Tangle was originally published in IOTA on Medium, where people are continuing the conversation by highlighting and responding to this story.